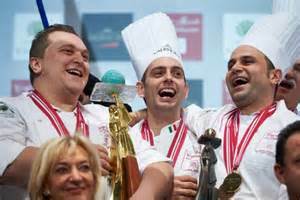 ITALY WINS THE COUPE DU MONDE DE LA PÂTISSERIE 2015! 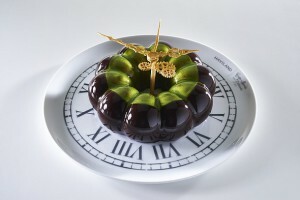 Italy has won the 14th edition of the Coupe du Monde de la Pâtisserie. 21 teams from all parts of the world – composed of a pastry chef, a chocolate specialist and an ice-cream maker – competed in front of 2’700 enthusiastic supporters in an exceptional atmosphere. The team captained by Emmanuele Forcone has been awarded the trophy after ten hours of intense competition where they demonstrated audacity, creativity and innovation. This is the 7th time Italy makes the podium. The country’s previous achievements include 2 gold medals (2015-1997), 2 silver medals (2011-2009) and 3 bronze medals (2013-2007-2001). drawn and blown sugar – for the first time the candidates were required to integrate a whole block of sculpted Valrhona chocolate to their chocolate creation. This resulted in the most exceptional sweet gourmet masterpieces! They also had to work with two blocks of ice of identical dimensions in order to present an artistic creation made of sculpted ice.